Glad I can join The Weekend in Black and White again. 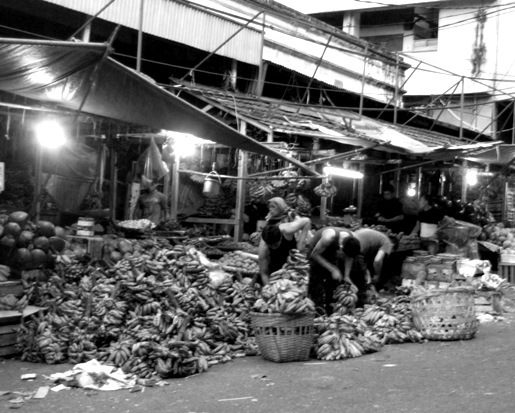 Allow me to share a busy moment of sellers in one early evening inside a market in my city. Wonderful textures, shadow and light! How nice to see you again. You certainly show us a busy scene. that is a lot of bananas!! !